Both iOS and Android apps are capable of accessing the information residing in our phones. Some of this access is necessary but the ones sought by most Indian app makers aren't. There is nothing new about smartphone apps seeking permissions to access user information to function properly. But, how much information would you be comfortable sharing with the app? According to an annual study by Arrka Consulting, Indian apps require as much as 45 per cent more user permission than their global counterparts. Some of these permissions include calendar, SMS, call logs, and storage. Some apps even want permission to access user location and details of emails and social media accounts. What is bizarre about some of these applications is that the permissions they seek have nothing to do with core functionality. Interestingly enough, the data and permissions that these app seek help companies like Google and even Facebook to serve relevant search results and ads. Both iOS and Android apps are capable of accessing the information residing in our phones. Some of this access is necessary but the ones sought by most Indian app makers aren't. The Arrka Consulting report analysed Indian companies that had over 1 million downloads across several categories like communication, travel, finance, etc. The report found that the communication apps were the biggest offenders. Critical financial apps, like mobile wallets, were also seeking high levels of permissions. 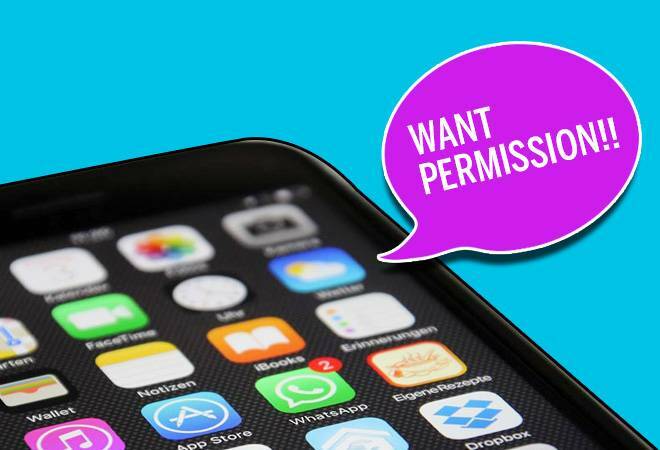 "Although the type of top dangerous permissions accessed remains the same across India and the US, the percentage of apps accessing these permissions varies greatly," the report said, adding that Indian apps access dangerous permissions 3.5 times more than US apps. The app ecosystem is run by Apple and Google and it's they who have set the app permissions guidelines. However, both of these companies don't question the app makers once they pass basic guidelines. Indian app makers, on the other hand, don't want to inundate people with too much information; they relying on the consumers to just get it. Or, maybe not!